Vendors and buyers around the world use XPRT benchmarks. For early access to the benchmarks and the power to influence them, join the XPRT community today. Cross-media Content Delivery: Videos, Infographics, etc. Demartek provides independent, real-world, hands-on research & analysis by focusing on industry analysis and third-party lab validation testing of data center computer equipment such as servers, networking and storage systems. Demartek has experienced I.T. professionals on staff and has invested in its own lab facilities including servers, networking, storage infrastructure and more. We also work with new technologies just coming to market. We have commented or written about some of these new technologies on our news page or in the Demartek Video Library. 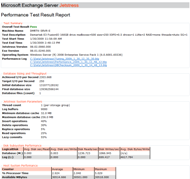 Specific technology test results are available on our FC Zone, iSCSI Zone, NVMe Zone and SSD Zone pages. Due to the variety of interface types used for storage devices, Demartek has compiled its popular Storage Interface Comparison reference page that provides technical information for many storage interfaces. This page was updated in September 2018. Synthetic benchmarks using tools such as Iometer, VDbench, FIO, Diskspd, VM Fleet, etc. Oracle ORION — provided by Oracle and expressly designed for simulating Oracle database I/O workloads using the same I/O software stack as Oracle. Demartek offers translations of our reports into non-English languages. View an example of one of our reports available in four other languages (scroll to the bottom of that page). Demartek has a collection quad-processor, dual-processor and single-processor rack and blade servers, some having 60 or more cores, and up to 1.5 TB of memory in these servers, making them suitable for a wide variety of storage stress testing, virtualized server environment testing and for testing real-world applications such as Microsoft Exchange Server, SQL Server, SharePoint Server, Oracle database and more. In September 2017, we received the first wave of servers with Intel® Xeon® Scalable (“Skylake”) processors in what are also known as “Purley” platforms, with more expected to arrive in the Demartek lab in October 2017. These servers, along with one we have from the prior generation, support NVDIMM memory technology. Also, in late 2017, we began to receive servers with the AMD EPYC™ processors. In December 2014, we added an eight-node cluster of servers to perform Hadoop and other distributed computing and storage platform testing. The Demartek lab is equipped with Ethernet switches that have many ports of 1Gb Ethernet (1GbE), 10Gb Ethernet (10GbE), and several ports of 40Gb Ethernet (40GbE). We recently added a new 25GbE/100GbE switch that supports the new speeds of Ethernet. For 10GbE, we have both 10GBASE-R (SFP+) and 10GBASE-T (RJ45) switches and adapters. The 25GbE ports are SFP28. The 40GbE ports are QSFP+ and the 100GbE ports are QSFP28. Demartek has appropriate copper and fiber optic cables for 1GbE, 10GbE, 25GbE, 40GbE and 100GbE. Demartek runs typical TCP/IP network and file server traffic, in addition to FCoE and iSCSI traffic. Demartek has 1GbE, 10GbE, 25GbE, 40GbE and 100GbE NICs, iSCSI offload adapters and FCoE CNAs. Some of the NICs support SR-IOV, RoCE (RDMA over Converged Ethernet) and/or iWARP. Demartek has 32Gb, 16Gb and 8Gb Fibre Channel switches in its lab, along with 32Gb, 16Gb and 8Gb Fibre Channel HBAs and the appropriate fiber optic cables and transceivers (optics). Demartek has 12Gb, 6Gb and 3Gb SAS HBAs and RAID controllers, including SSD caching versions. Demartek also has a SAS switch in its lab. Demartek has a variety of direct attached storage (DAS), network attached storage (NAS) and storage area network (SAN) storage systems. The NAS and SAN storage systems connect via various speeds of Ethernet and Fibre Channel (see above). For DAS, we have a 60-drive JBOD available for testing that supports 3.5-inch (LFF) and 2.5-inch (SFF) SAS and SATA drives. Demartek has a variety of NVMe devices (drive form factor and add-in-card form factor) that can be deployed in some of the servers. In addition, we have configured complete end-to-end NVMe over Fabrics (NVMe-oF) configurations using both RDMA (RoCE) and Fibre Channel. In our NVMe-oF testing, we have observed potential sources of bottlenecks, which we describe in our NVME over Fabrics Rules of Thumb commentary page. Demartek has a electric power meters to measure electric power consumption of servers, network and storage equipment. For precise electrical power measurement, A/C sources are used to provide power with very tight tolerances for voltage and harmonic distortion. We have a loading dock for receiving freight shipments. Demartek produces a variety of cross-media content in multiple formats, in the form of videos, infographics and more. We produce these with our branding and can produce them with other branding. Demartek produces highlight videos for validation tests, performance reports and deployment guides. We also produce instructional videos that show users how to use specific software and hardware solutions. We can also produce animated videos that explain various technologies. The Demartek Video Library has several examples of our public videos. Demartek produces infographics to help communicate the results of performance testing and other tests in a visually interesting way. Demartek promotes its public projects and materials using a variety of social media outlets. These include Facebook, LinkedIn, Twitter and YouTube. Click any of the icons below to visit our pages. With the move to the larger facility in January 2014, 80% of the racks in the Demartek lab run with 220v/230v/240v AC electric power, and 20% of the racks run with 110v/115v/120v. Having both voltages expands Demartek’s capabilities to test storage systems, blade servers, rack servers, networking gear and other related datacenter equipment. 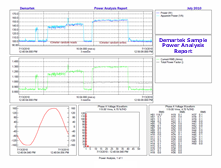 This electric power upgrade complements Demartek’s existing electric power infrastructure, which includes the ability to measure power consumption for various servers, networking and storage systems while under load. 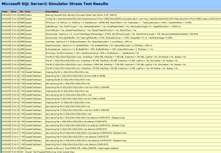 View your browser attributes on the Demartek Lab Browser Test page. Microsoft, SharePoint and SQL Server are registered trademarks of Microsoft Corporation.